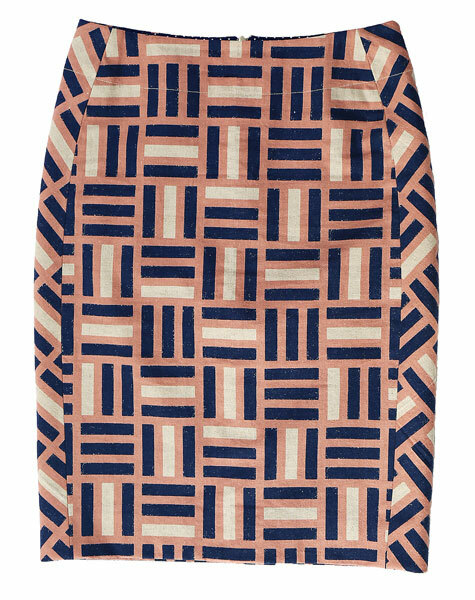 This classic, unlined pencil skirt will have you looking sharp whenever you wear it. The skirt includes side panels, a back yoke detail, and a back walking vent. View A is just-above-the-knee length with straight-cut side panels. View B ends just below the knee and features bias-cut side panels. 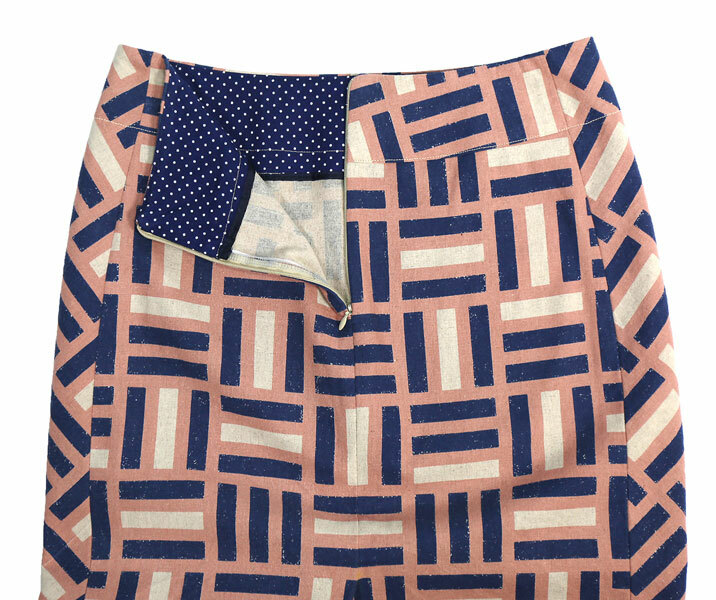 Share your photos on Instagram with the hashtags #extrasharppencilskirt and #lieslandco. I just finished this - my first ever pencil skirt - and it's a dream to sew and wear! I used a stretch linen fabric, and didn't have to make any major modifications. The pattern is drafted so well, and the instructions, as always, are really clear. I'm looking forward to making many more! I made two skirts with this pattern in a week. One in denim and the second in a navy/white geometric pattern. For the navy/white skirt I used the back of the fabric for the side panels. I had to use a 5/8" seam allowance on the sides because the smallest size was a little big for me. The side panels really do allow for a custom fit. Beautifully drafted with good instructions.... made a summer version out of a stretch twill fabric. Will definitely become a tried and true pattern for me! I’ve already made 2 versions and know I will return to this pattern again and again. The side panels are so flattering. So many possibilities! Another perfectly drafted pattern from the very talented Liesl. Another fabulous Liesl pattern. I love the way the skirt is shaped by the side panels rather than bulky gathers or darts at the waist. This gives a really smooth fit. This is a fantastic pattern. 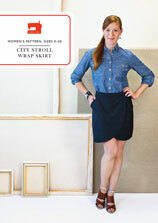 I made my skirt from some stretch denim and it worked perfectly. The instructions are very clear, like all of Liesl's patterns. This is a wonderful basic. I'm planning to make another one soon! 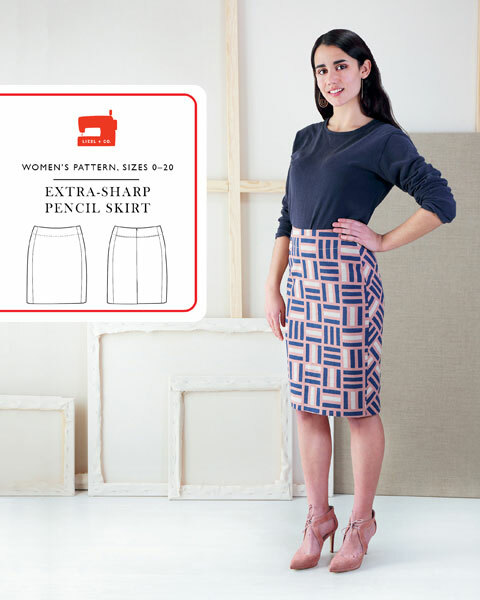 Discussion on the digital extra-sharp pencil skirt sewing pattern from the Oliver + S Discussion Forums. 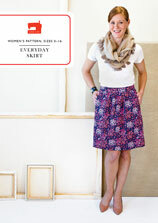 Find and share more photos on Instagram using the hashtags #extrasharppencilskirt and #lieslandco.